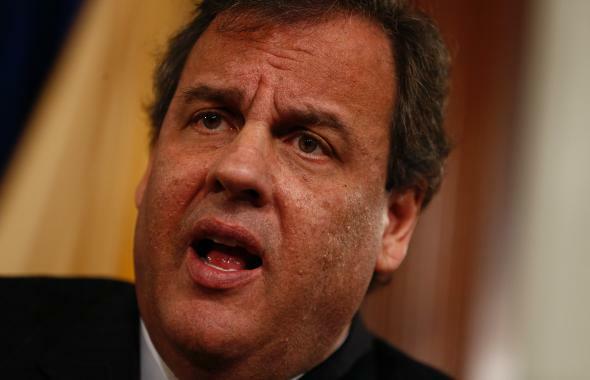 The least convincing moments of the Chris Christie press conference. He’s too passionate, and his biggest weakness is that he’s a perfectionist. During his 2000 campaign for president, at one of the high points, Arizona Sen. John McCain explained why he was so open with the press. Why did he spend so much time, between speeches, letting reporters ask him questions? “Kill ‘em with access,” he explained. It was a joke with the benefit of being true. McCain would exhaust the press corps, leaving them with the impression that he’d been completely transparent. That was the strategy spoofed in The West Wing, when Alan Alda’s McCain-esque Republican ended a scandal with an endless press conference, and that’s sort of what Chris Christie did from 11 a.m. to … well, as of this writing, he’s not done. Is it working? The consensus among Republicans (all of Twitter has seemingly paused to watch and react to this thing) is that Christie started well by announcing the firing of his deputy chief of staff and the instruction to his campaign manager that he should not, after all, take over the state GOP. “I brought my senior staff together four weeks ago tomorrow,” he said, “and I put it to them: If there’s any information that you know about these lane closings in Fort Lee, you have one hour to tell.” President Obama, to pick a politician totally at random, has never explained a screw-up in such detail. “When was the last time in politics someone was fired, not allowed to resign?” True, it doesn’t often happen, though that question creates a false equivalence between the Christie scandal of staffers avowedly using their power to create a problem for a local mayor, and the pick-your-Obama-scandal of a problem arising because a staffer was incompetent. It’s not like Kathleen Sebelius bungled healthcare.gov in order to create problems for Republican governors who didn’t endorse the president. - Hey, there may have been a traffic study! The spin from his lying staffers, according to Christie, was that the four days of road closures in Fort Lee were part of a traffic study. There’s no evidence of such a study, but Christie keeps raising the possibility that, hey, there might be? “I don’t know if this was a political vendetta that morphed into a traffic study,” he speculated at one point. Spoiler: It wasn’t, unless the study had the working title Effects of Road Closures on the Children of Barbara Buono Voters. - Maybe I’m too passionate. He dropped the line after the first 45 minutes, but Christie spent the start of the press conference deflecting criticism by basically saying he cared too much. “I am not a focus-group-tested, blow-dried candidate,” he said. Who was arguing that? The question was whether and how Christie allowed a pretty callous group of people to rise in his inner circle.